Hi friends, welcome to another WOW! Tuesday blog. As we are moving forward, today I’ll be sharing with you the second pair of cards that I made for the WOW! Facebook Page Group. As you know we’re playing along with the “Pastels” theme for the whole month of April. So…I’d like to invite you to come, and play with us. 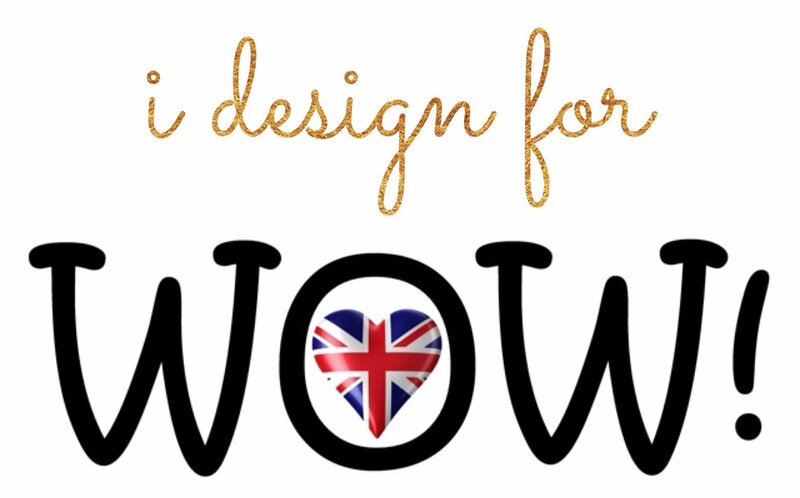 As each challenge winner will receive a gift $15.00 Voucher to the WOW! online store. For the first example I started by adding texture to the card panel using the embossing ink pad as a guide to create the textured rectangle on the background. I made sure to put lots of pressure as I wanted a precise inking for a clean look. Once I was sure the I had enough embossing ink on it I carefully removed the ink pad, and I proceeded to apply the Mint Macaroon embossing powder over it. Soon after that the embossing was applied I heat set it, and I set it aside while I worked on the die cuttings and the sentiment. For the die cuttings, I ran through the die cuttings machine 2 different stem dies to create the stems for the card as you can see in the picture above. So, I started by die cutting one out of vellum, and the other one out of white card stock. Once the die cuttings were done I adhered them to the textured heat embossed part of the card panel with liquid glue. As you can see I adhered one on top of the other, but not perfectly aligned as they are 2 different types of stems. In the meanwhile I also gold heat embossed the sentiment that I was going to use for this card on a piece of white card stock, once it was heat set it I trimmed it down, and I adhered it on one of the lower sides of the card panel with foam mounting tape. To finish this card panel off I tied a double bow by using metallic embroidery thread which I adhered it with liquid glue along with a crystal clear jewel right in the center of the both. For the second example I started by white heat embossing the card panel, and for that I placed a small stem stamp in an acrylic block, as I was going to stamp all over the card panel with the sticky embossing ink. Once, I was done stamping the whole background I applied white heat embossing on top of it, and I heat set it. Soon after, the heat embossing was done I ran through the die cutting machine the scallop die to create the die cutting out of white card stock, I could have used only the scallop frame, as you can see this die cuts the center of the frame too, but it kind of look awkward. So I decided to used the center piece of the frame too. However, I didn’t like it how it looked in plain white. So, I used the stamp that I had already mounted in the acrylic block once again to repeat the same process as the card panel, and I white heat emboss it the center part. Once the center piece of the scallop frame was heat set it I adhered them both to the card panel with liquid glue. As, for the sentiments I used the Hi die also included in the scallop frame die set to die cut out of white card stock 4X as I wanted it to be sturdy to resist the heat embossing that I was going to apply over it. Once the die cutting were all cut out of the white card stock I adhered them all one on top of the other with liquid glue, then I heat embossed it by applying sticky embossing ink, and Mint Macaroon embossing powder. ( I repeated this step twice, as this embossing powder is in the translucence side) Soon after, the heat setting was done I adhered it to the center of the scallop frame. In the meantime I gold heat embossed a complimentary sentiment which I trimmed down in a strip form and I adhered it above of the Hi die cutting, as you can see in the picture above. To finish this card panel off I adhered one Blue jewel for the title of the i. Once, I had both card panel ready to mount in their card bases, I trimmed them down a bit smaller than a standard A2 size card. And, I adhered each of them to a side folding white card base with foam mounting tape adding just enough dimension to them. I hope that you can see in this picture that I took from one of the side how dimensional the cards actually are, as well as you can see all the tiny details and how much texture the embossing powders added to them. So, that’s all for today friends! I hope these cards inspire you to give these designs a try, as always I appreciate the time you take to read my blog posts. Down below you’ll find the supply list for all the products used in this post, as a referral from where they were received or purchased from. I am creating this blog with the purpose of sharing how I design my cards, the information provided here is base in my own opinion and creativity. I am not an expert by any means, and I only share the way that I design my cards. All of the products used for this blog post were personally purchased by me. However, I did received all of the WOW! Embossing Powder product used in this blog. Please keep in mind, that all of the referral links were added for you to know from where I purchased or received the items from, as all of the products shared, and mentioned in my blog posts are simply because I use and truly love them.